It doesn’t matter if you live California or Connecticut: energy costs can pile up if you’re not careful. Throughout our day-to-day routines, we have a hand (literally) in wasting electricity more than one might think. Forgot to turn off the lights after you left the room? It happens to the best of us. Left the faucet running while brushing your teeth? Time to break the habit. By making a conscious effort to be more sustainable and commit to general home maintenance, you can save both energy and money. People who do good deeds should get rewarded, don’t you think? We think so, too. With energy-efficient solutions for the problem areas around your home, you can set aside the money you’d normally spend and put it towards something else: your next dinner out with the family, a surprise gift for a loved one…the choices are endless! Keep reading on how you can stop wasting electricity in your Connecticut home. Going all out this year with holiday lights? We’re certainly not Scrooge — but a little bit of mindfulness can go a long way. LED bulbs are an excellent energy-efficient lighting solution to keeping up the holiday spirit without breaking the bank. They’re bright, long-lasting, and use 80% less energy than conventional lights. 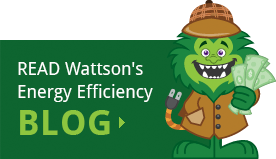 No matter if you’re lighting your tree, your mantel, or the outside of your house, you’ll want an option that saves you energy during this time of extra watt usage. It’s convenient to leave your computer on so you can easily access the web page you were just viewing. We’re not suggesting to shut down your computer after you’re done using it for the day, but putting it into sleep mode means it will enter a low power state, thus consuming less energy. Modern computers and laptops have computer power management features to help you cut down on your energy usage. Waking up your computer is as simple as tapping your computer’s power button, clicking your mouse, or pressing a key on your keyboard. Cooler months call for a warm home — which means your HVAC system is going to be put to work. But have you been conducting regular maintenance? Clogged or dirty HVAC vents means your system has to work harder to push out heat through the debris. When your system has to work harder, your energy bills increase. The more often you keep it clean, the easier the maintenance. Letting debris build up could mean mold growth or even a new home to vermin — both of which would create even bigger problems than just high energy bills. Water heating can take up about 12% of a family’s utility bill, and with winter around the corner, it’s important to keep that number as low as you can. On a cold day, it can be hard to get out of a hot shower. Or when you’re washing dishes, leaving the faucet running might be a more convenient option. But all those extra minutes of consumption really add up! 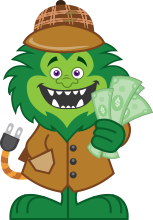 When you get a home energy assessment from Energy Monster, we’ll provide low-flow aerators to you. Showers and sinks are used every day, and with low-flow aerators, you’ll start to notice a reduction in your energy usage. For other hot water-saving methods, we recommend using cold water for laundry loads and upgrading your washing machine and dishwasher to be Energy Star certified. 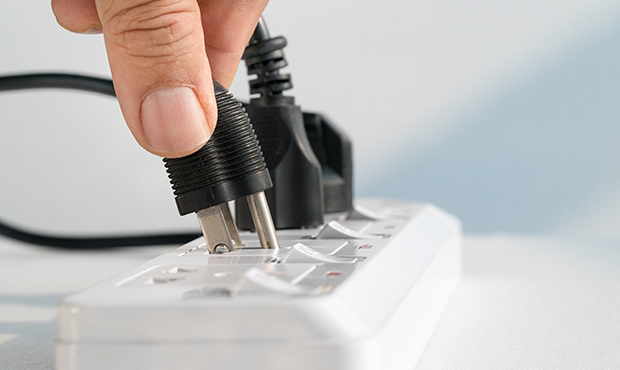 Believe it or not, appliances still consume energy even when not in use if they’re plugged in. The easiest solution? Unplug them! We don’t expect you to unplug your oven or washing machine every time you’re not using them. But the coffee pot, microwave, and blender don’t need to be constantly plugged in if you’re not going to use them for most of the day. Several small appliances using less energy throughout the kitchen means more savings on your energy bill. Wondering what methods will have the greatest on our electricity bill? 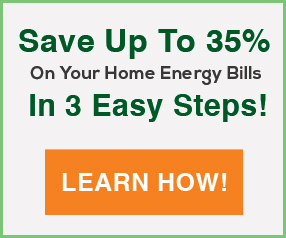 Get a home energy assessment. We’ll evaluate your home’s energy usage and problem areas, and then provide energy-saving recommendations, LED light bulbs, low-flow aerators, and more — all at a low cost. With a home energy assessment, wasting electricity will be a thing of the past in your Connecticut home. Schedule yours today!